Military service members will receive a 3.8 average increase in their basic housing allowance rates in 2013, representing $60 more on average than the 2012 rates, American Forces Press Service reports. Cheryl Anne Woehr, the housing program’s manager, told AFPS’ Claudette Roulo the Pentagon sets rates based on annual reviews of market rents, utility costs and renter’s insurance rates. Basic housing allowances are paid to soldiers who live off base or in privatized housing, Roulo writes. 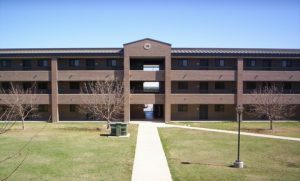 Soldiers living in New York City and Altus Air Force Base, Okla. will see the highest basic housing allowance rate increases, with New York-based service members seeing a 14.7 percent average increase and Altus-based members seeing a 14.1 percent average increase. Woehr told AFPS nearly one million service members receive housing allowances.